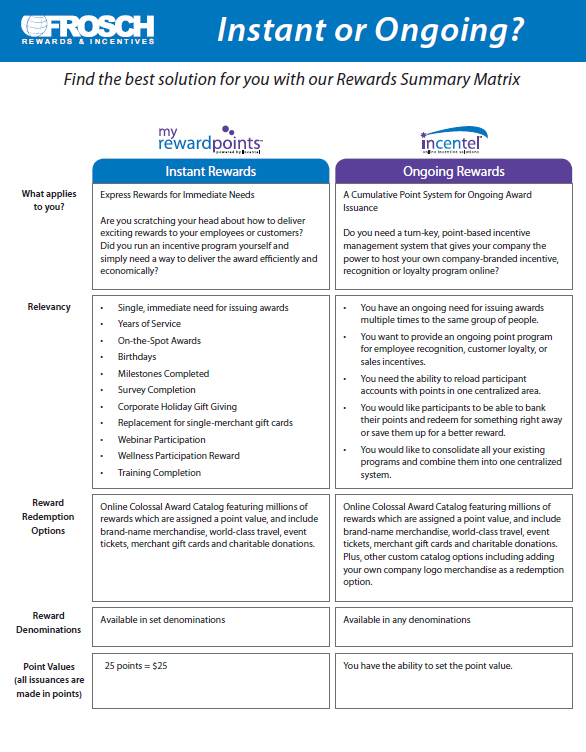 The Frosch Rewards & Incentives online solution Incentel™ combines the most current incentive rewards with technology intelligence. Easy access for program participants, dedicated URLs, quick program management with constant IT support - everything you need right at your fingertips. Download our Incentel™ options available to you. © Copyright 2013 Frosch Rewards & Incentives.